How is it possible that the holidays are upon us once again? It seems this wonderful time of year comes around faster and faster. Let the spirit of the season guide you in every way possible, making this a time of wonderment and delight for you and those around you. Most of us, even in the midst of this festive season, still have to conduct our day to day business. That can be a challenge while also keeping up with all of the holiday fun and commitments we make this time of year. While the overall picture might seem overwhelming, you really can have it all! Balancing the everyday tasks of work with those precious holiday events and experiences can result in a holiday memories for a lifetime. As we count down the days toward the end of 2017, let us all give thanks for life and liberty but also commit to doing what we can to help those in need. From the DSA staff to you and yours, we wish you the very merriest Christmas and the happiest holiday season. For many of us, the holidays are an especially exciting time of year as it allows us to let our design talents shine in our own home décor throughout Thanksgiving, Christmas, Hanukkah and New Year’s. But for many outside our industry who don’t have the interest or talent for decorating, decking the halls can feel more like a chore. Others simply don’t have the time to produce an artistic holiday design worthy of welcoming guests. Offering Christmas design services, both for residential and commercial properties, can boost your business this time of year. Establishing a group of satisfied Christmas design clients that call on your services year after year is a great way to boost your income late in the year. And once all the holiday fun has ended, you can return to provide take-down service as well. The best part is that, unlike a traditional design project, this one will need to be done again next year! "Fuigo provides designers the business tools and support to help them overcome their obstacles, so businesses can thrive in an industry that’s changing on a daily basis. It’s true, running a design business can be hard. But it doesn’t have to be." We know the importance of time management in all aspects of our life. The more efficient we work, the more time there is for enjoying life. Running a business can be hard, but it doesn’t have to be. Because interior designers run complex businesses, there are many tasks that have very little to do with design, such as bookkeeping and other day-to-day practices that come with owning a business. Two companies in particular are gaining attention in the industry. Both Fuigo and Ivy Mark offer software and support for interior designers. Fuigo puts a lot of emphasis on its shared workspace and vast resource library in New York City but also offers project management software, business support and bookkeeping services and access to top-tier product and vendors sourcing. 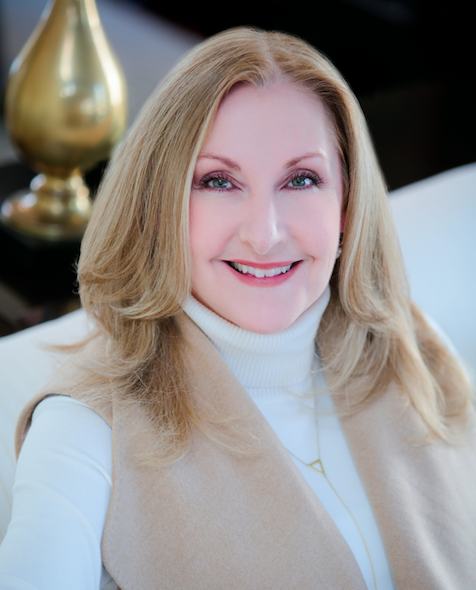 Prior to studying Interior Design, Paula Grace earned a Masters Degrees in Clinical Social Work and Business Administration. She held a Directorship of a large behavioral health program and was a Senior Instructor, graduate level, in a prestigious university medical center. With this level of experience, Paula Grace runs a seamless ship when implementing designs. The process flows until each furnishing is placed and the design realized. Paula Grace provides individual, small group, design firm as a whole consultation, and seminars or a combination. The exact plan is determined after assessing the needs, goals, and objectives. Confidentiality is always maintained. Q: What is the biggest problem that most interior designers struggle with today? A: There are issues we’re all struggling with – challenging clients and design firm productivity. There are universal things we can do to help with both of these. However, each person is different – full of their own life experiences that helped to create them. To understand, learn and grow, it’s necessary to take a look within yourself to create a solution. Only looking externally or pointing the finger elsewhere will land you back where you started, with no real permanent change. Designers are not immune to wanting immediate gratification, but to achieve true insight, change and growth, you have to work for it. You don’t sit down at a piano and start playing Beethoven. It doesn’t work that way unless you’re a musical prodigy and can play after hearing it once. A healthy, productive professional life takes work. If you a prodigy of professional life, great. If not, join the club - you’re in the largest group on earth.